This great value tour takes in some of Portugal’s most unique and spectacular sights. A highly recommended 3 day tour. Leaving Lisbon, spend three days on a tour of central Portugal’s beautiful locations! Enjoy fascinating day trips to Sintra, Cascais, Nazaré and Évora, among other beautiful cities, and have plenty of free time to discover more on your own. 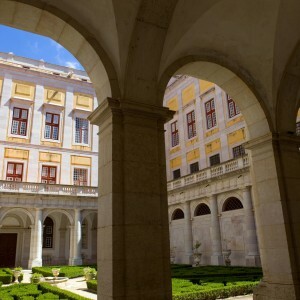 See the romantic Pena Palace, Évora’s Romanesque-Gothic cathedral and Our Lady of Fátima Sanctuary. Discover the beauty sites like the Alcobaça Monastery and the Gothic Batalha Monastery, and take in views of the Atlantic Ocean from Cabo da Roca and the Estoril Coast. Admire panoramic views of Lisbon and the Portuguese countryside from your comfortable coach, and have free time at night in Lisbon. Based in a centrally located Lisbon hotel, enjoy this 3-day tour of central Portugal’s loveliest towns – including Sintra, Cascais, Estoril, Óbidos, Alcobaça, Nazaré, Évora, Azeitão – and its astonishing landmarks. On this comprehensive tour, you will explore historic and picturesque Portuguese locations during the day, and return to Lisbon at night to have dinner on your own and explore the city at your own pace. Visit the fairytale-like Pena Palace in Sintra, see the Castle Pousada-Hotel in Óbidos and admire Our Lady of Fátima Sanctuary in Fátima. 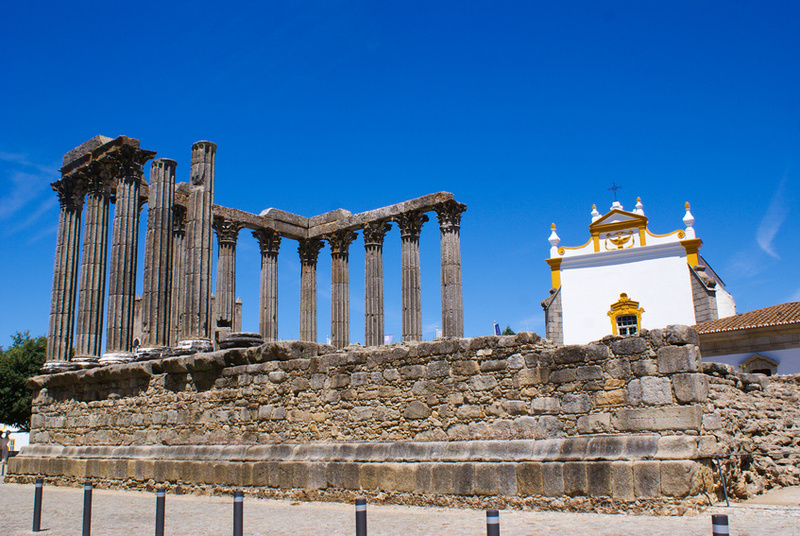 Discover the UNESCO World Heritage-listed Alcobaça Monastery, Batalha Monastery and town of Évora. Learn interesting facts from your tour guide during guided walking tours in Sintra, Cascais and Évora, and sample wine at an important winery in Azeitão. Two nights of accommodation in a superior-class hotel are included. Two breakfasts and three lunches are also included. Have breakfast at your hotel, and then relax on the coach drive to Óbidos. Wander around the town’s cobblestone streets, surrounded by medieval walls, and visit the Castle Pousada-Hotel, a former castle that has been converted into a hotel. Next, leave for Alcobaça to see its UNESCO World Heritage-listed Gothic monastery, and continue to the picturesque fishing town of Nazaré for lunch (included). After lunch, make your way to Batalha, where you’ll enjoy a guided visit of its monastery. Your last stop is Fátima, home to Our Lady of Fátima Sanctuary, with its Chapel of Apparitions, and the Church of the Holy Trinity. Visit these sites, and enjoy free time to attend a mass, if you wish, before you return to Lisbon for the night. After breakfast and check out, head out of the city for a third time, enjoying views of Lisbon’s 25th of April Bridge, one of the longest suspension bridges in Europe, on the way. 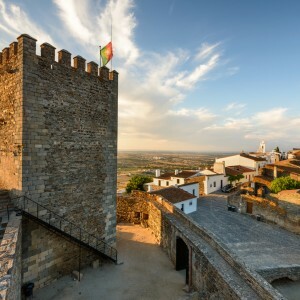 Drive past cork oaks, olive groves and vineyards as you make your way to the UNESCO World Heritage-listed city of Évora. When you arrive, wander the narrow streets at your own pace and see masterpieces of past eras, like the Romanesque-Gothic cathedral, the Roman Temple of Diana, St Francis Church (Church of São Francisco) and its Chapel of Bones, and Évora’s university. Visit local shops that sell traditional handcrafted cork, ceramics and copper products of the Alentejo region. After a delicious Portuguese lunch (included), set off to Azeitão, where you will visit a historical wine cellar. Enjoy a guided tour of the winery, finishing with a tasting of the traditional Setúbal muscatel. Then relax on your coach and take in views of the lush Portuguese countryside on the drive back to Lisbon. The Sintra to Colares tram journey is only available on Tuesdays, Wednesdays and Thursdays, from April to October. 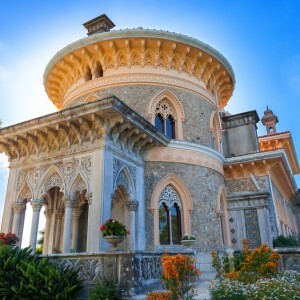 On the other days, you will enjoy a panoramic journey from Sintra to Colares by bus. You must present a paper voucher for this tour. We will email a link to access and print your voucher at the Lead Travellers email address. 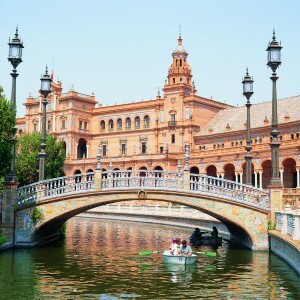 SKU: e168b4d918b2 Tags: Multi-day & Extended Tours, Multi-day Tours.